The MLB Draft is one of the hardest things to predict. Between asking prices, bonus pool money and postseason college games, there are a lot of moving parts heading into draft day. MBN’s Jon Lewis and John Vittas put together their 2015 Maryland Draft Preview, making rough predictions on where the players would fall. The predictions were based on Lewis’ and Vittas’ personal talent evaluations that were then confirmed via conversations with scouts, players and coaches. The predictions turned out to be extremely accurate, with Lewis proving to be particularly on-the-money. Lewis (right) served as a color analyst for MBN in 2015. Lewis was no more than four rounds off on any player and was within one round on five of Maryland’s eight selections. Lewis, now 23, is an Analyst for a large investment bank in Baltimore, but hopes to use his financial analytics background to help a Major League front office in the near future. 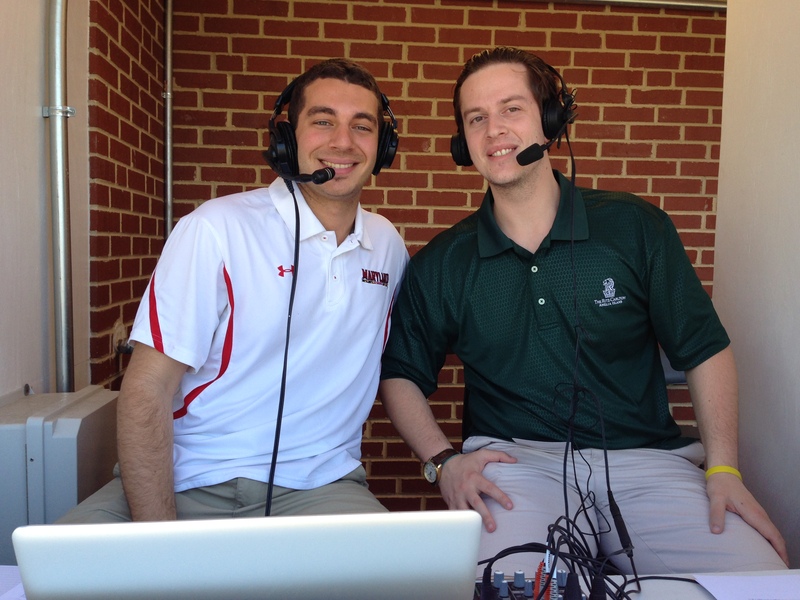 Lewis announced over twenty Terps’ games over the last two years, serving as a color analyst for the Maryland Baseball Network. In 2013, Lewis was a Baseball Operations Intern for the program. 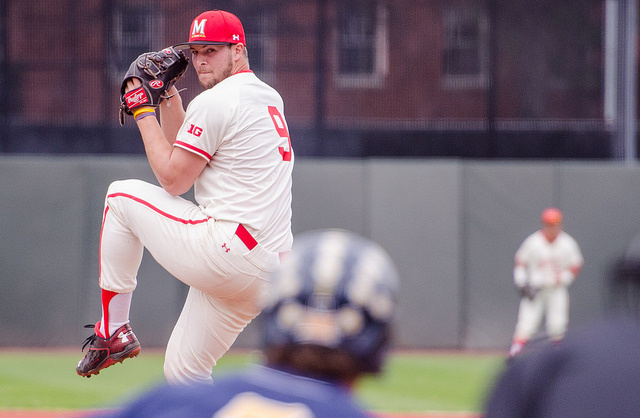 After four Terps were selected in Day Two the 2015 MLB Draft, expect at least four more to go on Wednesday. And they could go quickly. Maryland has never had more than 6 players taken in one draft. That should change Wednesday. Kevin Mooney, Kevin Martir and Jose Cuas are all likely to be taken off the board within the first few rounds of Day Three. They are all top-10 round talents who were likely disappointed to not hear their names called yesterday. If they drop past Round 20, it could be because of signability concerns. That means the chances of them coming back to College Park for 2016 would increase. Once Mooney, Martir and Cuas go, it’s time for the Zach Morris watch – as Morris is expected to land in the middle rounds. After that, it’s a crapshoot. 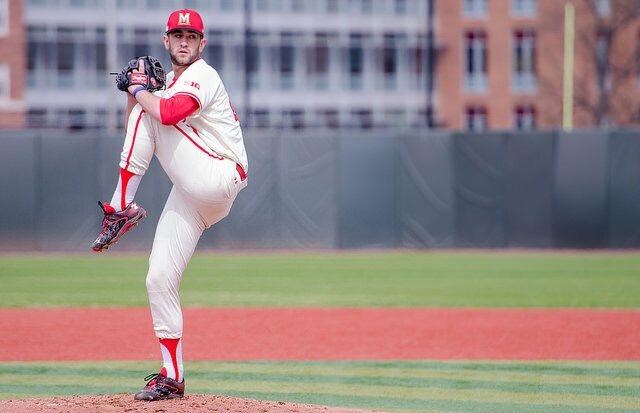 Jared Price and Anthony Papio are a couple Terps that have a decent chance to be picked late, but after Round 25, it’s anyone’s guess. As the later rounds approach, be sure to keep an eye out on both incoming recruits and former Terps. Andrew Amaro could be taken by his uncle’s organization in Philadelphia, while Matt Bosse and Michael Montville also had excellent years at the lower levels of college baseball. John Szefc has done an excellent job of getting high school commits to choose college over cash. If those guys are selected, the Maryland coaching staff will have to convince them to decline their pro offers and come to College Park. Over the years, the Szefc staff has done a good job of doing just that, getting high school picks like Mike Shawaryn, Nick Cieri, Justin Morris and Willie Rios to come to college. Last year, OF Troy Stokes was the only draftee to forego his college offer for the pros. However, Stokes was taken in the fourth round. This year, none of Maryland’s commits went in the top-10, so the recruiting class seems fairly safe at this point. Rounds 3-10 of the 2015 MLB Draft take place today beginning at 1pm ET. Rounds 11-40 will ensue on Wednesday at noon. 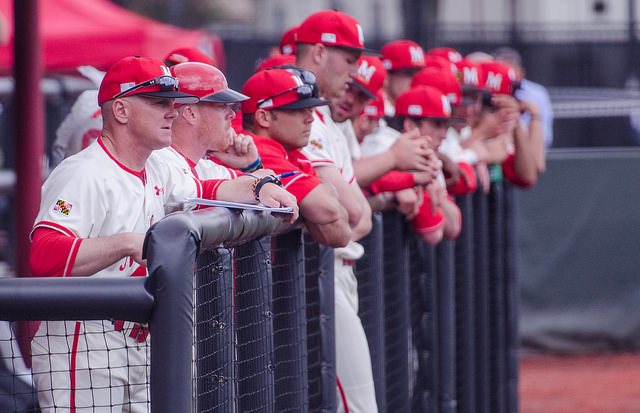 Maryland baseball is likely to shatter the school record for most draft picks in a single year. The Terps should have anywhere from 7-10 players picked, with 2-5 guys expected to fall in the top 10 rounds. Vittas: You throw out the tools with Martir – the guy is a winner. He steals signs from opponents regularly and knows how to get the best out of his teammates. 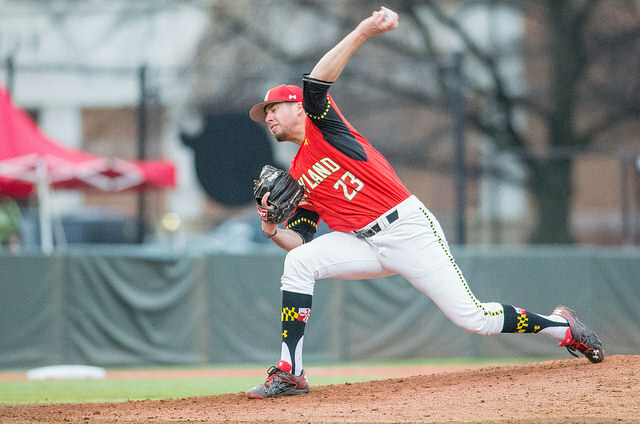 The Maryland coaching staff has entrusted him to call pitches fairly often, which is a rarity in college baseball. Martir has been the vocal leader of back-to-back Regional Championship teams and reached base in all eight plate appearances when his team was facing elimination this year. Aside from the winning mentality and sky-high baseball IQ, Martir is a superb catcher and polished hitter. 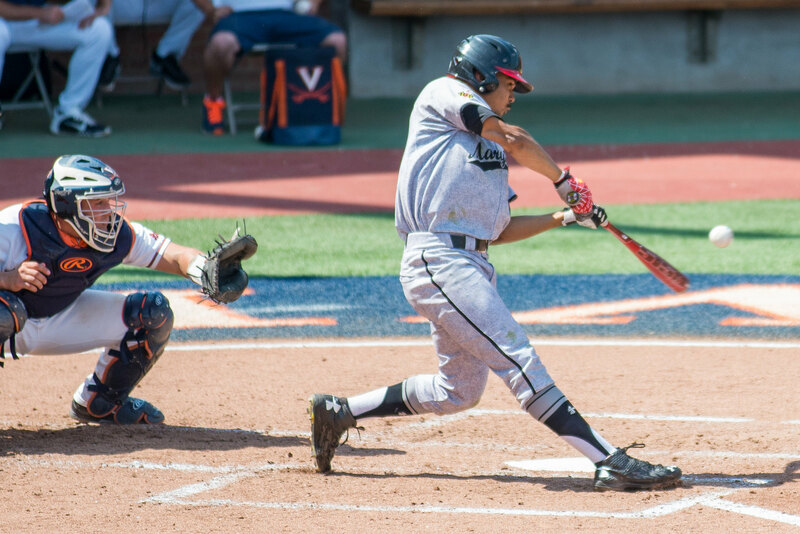 He led Maryland in hitting, batting .342 with an OPS of .943. Coaches called him the best receiver they’ve ever seen and he blocks well. So why isn’t he a top-5 rounder? There are two concerns that have made scouts apprehensive. The first is the body type – Martir is 5’11”, 215. The second is the arm. While his mechanics are solid, he has struggled throwing out runners and some scouts question whether he’ll be able to remain at the position at the next level. Personally, I never bet against a guy like Martir. He could be a major steal if he drops out of the top-10 rounds. Lewis: Kevin Martir is the consummate field general. He has served as the unquestioned captain of this Terps squad the past two seasons. His innate leadership skills are extremely impressive for a college kid. On the field, Martir has been the epitome of consistent and clutch. Offensively, Martir has a ton of raw power, as seen by his seven home runs, including a moonshot at Ripken Stadium in Aberdeen, Maryland. Depite his power display, he manages to to keep his swing short and squares up a ton of baseballs. He has the ability to go the opposite way fairly naturally which has been a big reason for his impressive average. Martir has great hands behind the dish, receives the ball well and does a great job framing pitches. He also is extremely effective at blocking balls in the dirt. While his arm has worn down this season, he has good footwork and better lateral quickness than you would think. A team that values leadership and an offensive-minded catcher could pick up Martir in the first 15 rounds. Vittas: For Price, it’s all about consistency. He has dominant college stuff, he just hasn’t been able to consistently throw strikes. When he’s on, he strikes out everyone and makes hitters look silly. The problem is that that has occurred about once every three outings. Price is still working to get his velocity back after arm surgery in the fall, but his last couple outings as a Terp were promising. He’ll be late round, high ceiling project for whoever takes him. 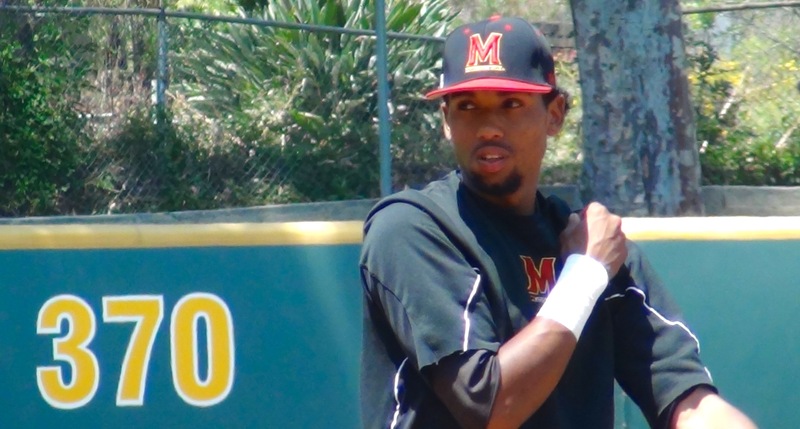 Lewis: Price is a big, strong, projectable RHP who has one of the best two-pitch mixes on the Maryland squad. Armed with a fastball that hit 96mph his freshman year, Price works more comfortably in the low-90s. His 12-6 downer curve has a ton of late life and bite. The question remains: Can Price put it all together over a full season? If he can do that and get his fastball back up to the mid-90s, he could develop into a solid pro reliever. 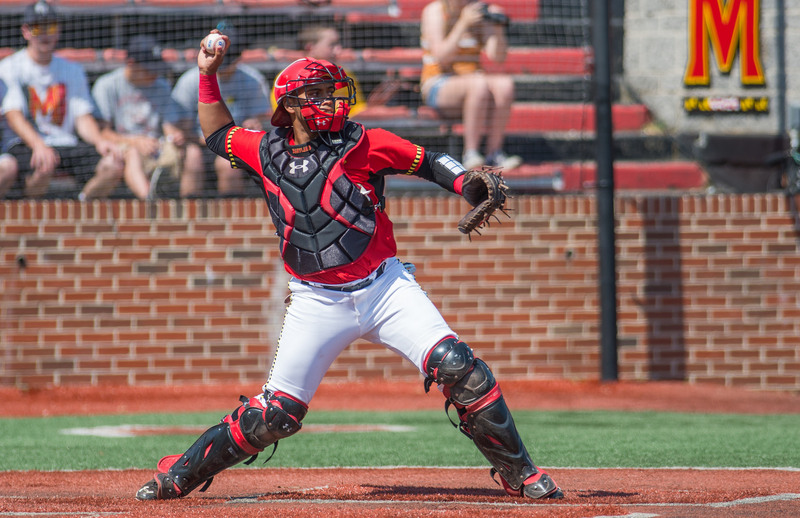 Lewis: Jose Cuas is as talented an athlete who has donned a Terps uniform. He has a projectable build, great hands, and a strong arm that scouts dream on. Offensively, Cuas puts on a show in BP and has proven a capable run producer in clutch situations. Ideally, you would like to see the average closer to .280 and the strikeouts subside. The team that drafts Cuas can dream on his offensive potential coming to fruition. Based on talent alone, Cuas should go in the top 10 rounds, but with his average hovering around .240 to end the year, it’ll be interesting to see if Cuas falls just a tad. Vittas: Cuas jumps out at you both physically and athletically when you watch a Maryland game, and his baseball talents are top-5 round worthy. However, a career college average below .250 will raise some red flags. Jose has an open stance and a long load, which sometimes disrupts his timing. When his swing gets long and his approach falters, Cuas strikes out a ton. But when he’s going right, it’s beautiful to watch. The arm at third base is ridiculous, and the movements are smooth and efficient. If Cuas drops to Round 8 or 9 like some are predicting, the team that takes him could be getting a steal. If he smooths out the hit tool, Cuas could be a Major League star. Vittas: Ruse had a frustrating regular season after an excellent junior campaign. Despite a noticeable improvement in his stuff, the Maryland right hander has gotten knocked around in some of his outings in 2015. The good news is that his fastball is harder and his slider is sharper, which has allowed him to add to his strikeout totals and nasty factor. But with his current numbers and lack of a plus fastball, there’s a chance the versatile strike-thrower is left unpicked. Lewis: It’s the precarious case of an increase in crispness in both FB velo and slider sharpness leading to inflated senior year stats. I personally have been a fan of Ruse’s pitchability since he became a mainstay in the Terps bullpen his sophomore year. Ruse runs his FB up to 92 and his slider is crisp and sharp. His pitchability and makeup are through the roof but his lack of plus stuff and his inflated stats could leave Ruse with the distinct possibility of being undrafted.